I’m guessing it’s pretty obvious at this point that I’m a dog mom. 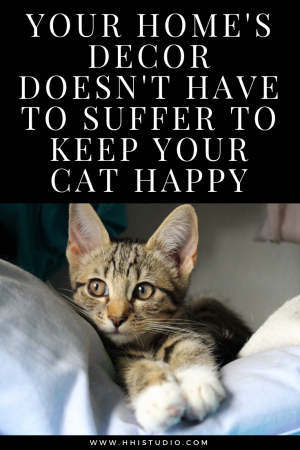 And while I’ve had some great posts for both dog and cat parents (pet-friendly fabrics, reducing pet odors, and my top recommended rescues), I wanted to write something specifically for the cat parents. A resource for a recurring theme I seem to be asked about quite often. So, this blog post is for the cat moms and cat dads. And most especially, it’s for your playful cat, sleepy cat! Please note, while I have looked at Amazon reviews and ratings of these products, I have not tested or used any items. You know your pet best, so keep that in mind when considering a purchase of any of these. I’ve seen some custom items for both dogs and cats on a variety of websites. Many gorgeous and unique designs never before seen. 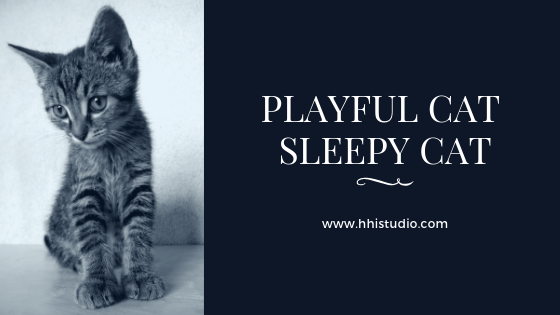 But, for today’s blog, I’m going to share some attractive options for your playful cat, sleepy cat from Amazon. Most of these products that I’m suggesting have Amazon Prime shipping available, which can save quite a bit in shipping and often these products ship fast! If you’re not already a member, I highly recommend signing up for a free 30 day trial here. And, in addition to Prime, you could also earn some money back, if you order through the ebates website or app! Plus, ebates isn’t just for Amazon. If you shop online often, this site will be your best friend! Not only do you earn cash back, but it can also show you available coupons for that retailer! I absolutely love the shape of this first cat tower by The Refined Feline. The fluidity of the curves offers a sculptural element to any space. Available in 3 colors: espresso (shown below), mahogany, and smoke (my favorite!!). 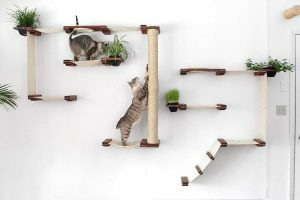 The lotus cat tree stands 69″ tall and offers sisal padding for scratching, several perch options, and a hide-a-way cubby . A sleek, organic design, the Lotus cat tower is a modern take on cat furniture. The next cat condo tower would be a sleek addition to any modern room. It features a solid wood leg construction for stability, sisal posts for scratching, platforms to perch on, a dangling toy to entertain, and a cozy hide-a-way cat shelter. 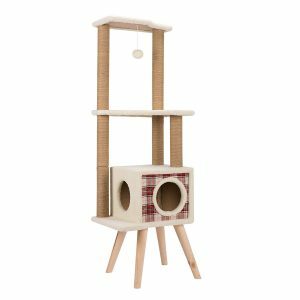 This condo tower by CO-Z stands at just over 57″ and has several varying height levels for your cat to move around and enjoy. The list even states that there’s plenty of room for 3-4 kitties at once! Multi-level design makes your feline friends feel free to jump, climb and explore around the kitty house; hanging plush ball l can be pawed at for fun. The third option is perfect for kittens and smaller cats (less than 15 lbs). 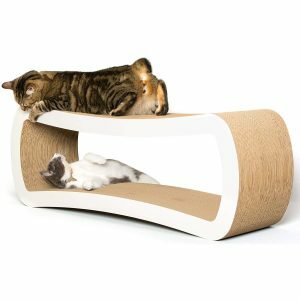 There’s a few varieties of smaller cat condos and cat trees from PetPals that I liked, but this one seemed to have the best reviews. It’s a smaller scale option (only 23″ tall! ), perfect for small spaces. Plus, the chocolate & gray color palette and the sleek & simple design will fit in many different types of styles. With two different perch options, handmade paper rope scratching posts, and a hanging toy, you’ll have a smitten kitten in no time! 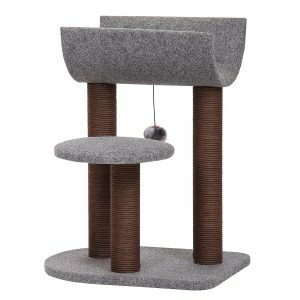 The contemporary design of this cat tree makes it the perfect addition to your home decor! Durable and sturdy, the perfect combination of shape and function. And one last option for your playful cat is probably the one that I find the most intriguing. This product line requires some wall space, but the ingenuity and creativity truly makes it functional art! CatastrophiCreations has many varieties available for their Cat Mod products with various price points. The design below incorporates hammocks, planters for cat friendly plants, and sisal poles for climbing or scratching. It also comes in several finishes including English Chestnut and Natural, as shown below. This beautiful cat complex incorporates a large, sprawling design along with planters that can hold cat-friendly plants. 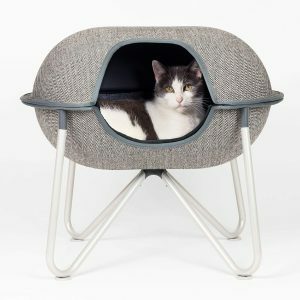 We all know that cats love to sleep, so why not give them a stylish and cozy spot! Here are two cat beds that I think are stylish and cat friendly. 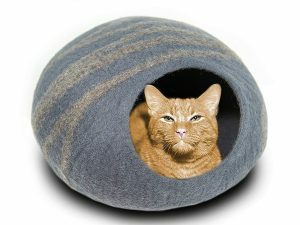 The first one that I found is a felted bed cave for cats by Meowfia. It’s made from 100% merino wool, a proven textile for pets because it is naturally antibacterial and repels stains, odor, and dirt. The design accommodates cats and kittens either inside or on top. It is sold in several color variations, perfect for any decor. My favorite is the slate grey variation (shown below). Warm, cozy and durable cat bed for your lovely cat and special touch to home decor. This next bed, the Cat Pod Bed by Hepper, reminds me of a sleek stool or ottoman you’d include in your home! The construction includes an upholstered fabric exterior, a thick fleece liner, and a sleek base with non-skid rubber pads. This bed can be used open or closed, depending on your cat. As with all pets, your cat may prefer the cardboard cat scratchers. PetFusion has quite a few designs, but these were my top two favorites. Both are made from recycled cardboard and cornstarch glue (non-toxic); the construction ensures a last quality. The curved design makes it easier to scratch, and more comfortable to rest or play. Plus, these are reversible, allowing for even more use before needing to be fully replaced! This is more than just a typical scratcher. It stimulates a cat’s natural instincts and curiosity. Available in 3 colors: slate gray (shown), walnut brown, and cloud white. Two tiered & long. Built for sharing & interactive play. 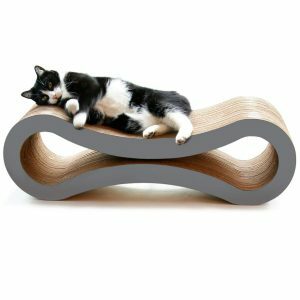 Subtle curves make for easier scratching & a more comfortable place to rest & play. Naturally attracts cats; holds up to 4 large cats. Your home decor style does not have to suffer to keep your cats happy.